Last Thursday (24th January) was the annual Charles Sydney Wines Loire Benchmark tasting in London. Charles Sydney Wines, offering a courtier service, was set up by Charles and Philippa Sydney in 1989. They have now retired and Chris Hardy, previously of Majestic Wines has taken over. Chris has now been joined by Alex Meunier. Although I did taste the 2018 wines at Domaine Belargus and some at the sparsely attended French Wine Discoveries (15th January) where the ripe and concentrated 2018 Muscadets from Alexandre Déramé stood out, the Sydney tasting was my first chance to taste more than 100 of these wines following their fermentation. My overall impression – bearing in mind these white wines (Muscadet and Sauvignon Blanc forming a substantial majority) are still very young and many of them were quite cold – is that they are very clean and precise wines. I suspect that they will tend to take on considerably more weight over the next few months. Chris Hardy emphasised that growers should take their time before bottling this vintage to give it a chance to reveal its potential. Of course if you are short of stock following frost in 2016 and 2017 this may well not be easy. Tasting at Millésime Bio (Montpellier) today it is clear that a number producers, who are very short of stock following the successive frosts of 2016 and 2017, have already started bottling some of their 2019, especially some whites and rosés. Fortunately 2018 is a generous vintage and it may only be necessary to bottle a small amount of stock now. Tasting whites today at Millésime Bio they seemed more generous than in London probably due to being mainly tasted at slightly warmer temperature. It also be that the wines when in London were adversely affected by the misery of Brexit.... Amongst the 2018 whites I tasted today I was impressed by Bonnet-Huteau – their Muscadet but also a Gros Plant in very limited quantity – only 1500 bottles. 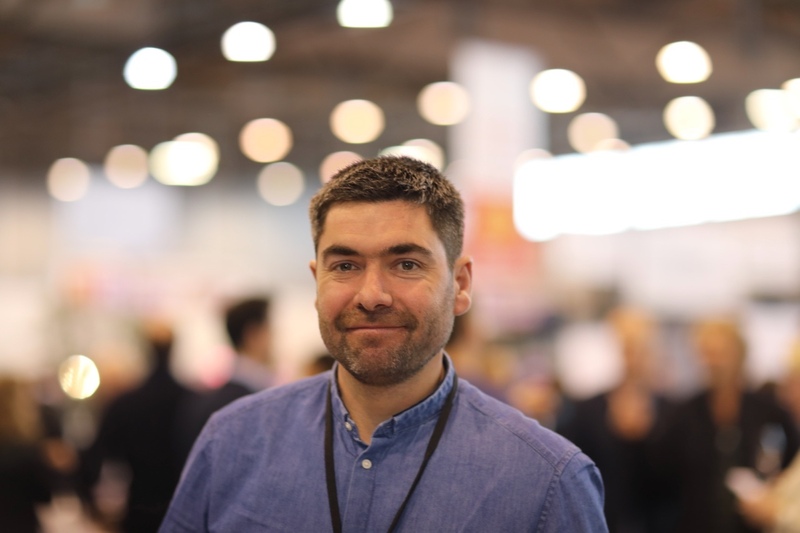 For the first time I met and tasted with Michel Delhommeau, Les Vignes Saint Vincent and was impressed by his 2018 Muscadet Sèvre et Maine, especially the Clos Amand from old vines. It was good to taste with Denis Jamain (Reuilly) – fine 2018s in all three colours including a richly textured Reuilly Rouge (Pinot Noir). 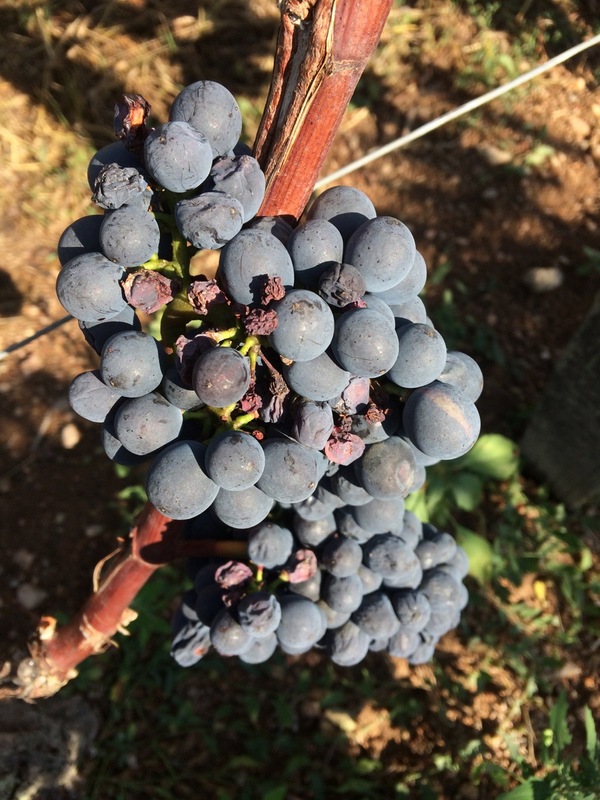 There are some lovely ripe, rich Loire reds in 2018 – most, of course are not in bottle yet. I have yet to taste many 2018 Cabernet Francs. One of the few I tasted today was the 2018 Clos de Bienboire, Saumur-Champigny, Château de Villeneuve – ripe concentration of delicious black fruits – very recently bottled. In London I was impressed by the Saumur Champigny from Domaine des Sanzay and and the Chinon from Noblaie. I have now tasted rather more 2018 Gamay than Francs including some wonderfully seductive Gamays from Touraine – Domaines Sauvété and Domaine L'Aumonier – and the Côte Roannaise – Domaines Sérol and des Pothiers. Back in London I tasted a few sweet wines from 2018 – from this limited evidence there could well be some great sweet wines to enjoy. Note to myself – I must drink more sweet Loire Chenins in 2019! 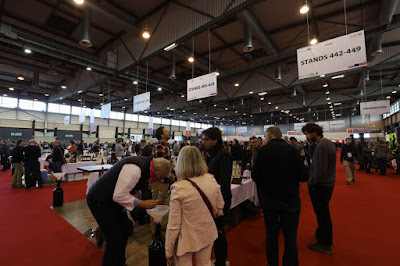 This year there are some 1100 organic/biodynamic producers exhibiting at the 2019 edition with four large halls now in use to cope with this expansion. It shows the marked increase in the number of domaines, who are now either organic or biodynamic. As all regions and countries are mixed up it is now a considerable feat of organisation to get to see producers in the most efficient way possible. I guess that from one end of Millésime Bio to the other is not far off the distance from Rablay-sur-Layon to Champs-sur-Layon.